In March 1972, future President of the United States George H. W. Bush, visited BGSU campus while Ambassador to the United Nations. George H. W. Bush, then Ambassador to the UN, excitedly gives a speech to supporters at BGSU. Film and television crews roll as U.S. Ambassador George H. W. Bush answers questions during his visit to BGSU. George H. W. Bush listens to an audience member's question during his visit to BGSU as Ambassador to the U.N. in March 1972. Ambassador George H. W. Bush, before coming Vice President or President of the U.S., gave a speech at BGSU in March 1972. U.S. 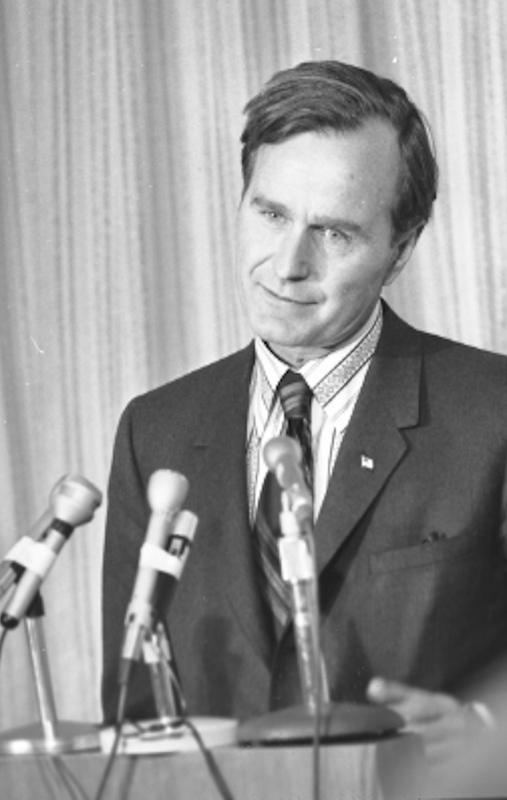 Ambassador to the U.N. George H. W. Bush giving a speech to students at BGSU in March 1972. During his visit to BGSU campus as Ambassador to the U.N. in 1972, George Bush gave a speech in front of students and supporters. 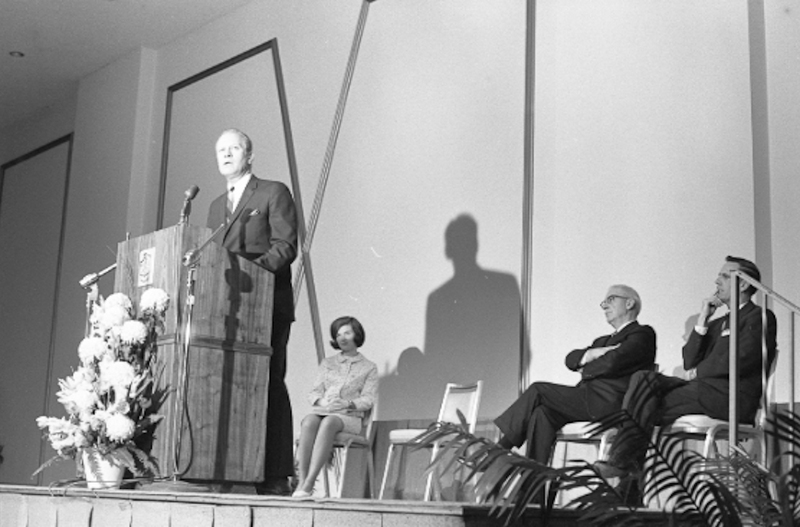 Ambassador to the UN George H. W. Bush giving a speech to students at BGSU in March 1972.